Research turns up a lot of interesting facts. I guess that's one of the reasons I love it so much. While researching my family genealogy, I was looking at some passenger ship lists of immigrants coming to America. On the logs, they listed the passenger's occupation. 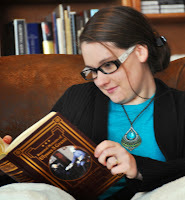 On one page, I noticed that several ladies who were listed as "Spinsters." Hmm. I looked to see how old these gals were...early twenties. Double hmm. This information hailed much teasing from my siblings since I will be turning 25 on Sunday (And yes, I still live at home in true Jane Austen style. ;). So, I decided to do some research and turn up some "spinster" ladies who married famous and influential men in history. I figured it would be fun to share with ya'll as I commemorate having lived a quarter of a century on earth. Katharina had a good reason for marrying later in life. She began as a nun, being admitted into a monastery at the age of 9. After years of religious service, Katharina became fascinated with the teachings of the Reformation, and she and several other nuns plotted to escape from the monastery. They wrote to Luther for help. Luther did indeed help them, and within two years had managed to find homes, jobs or marriages for all of the nuns...except Katharina. She had many suitors but declined all of them. Finally, she told Luther that she would only consent to marry Luther himself, or his close friend and reformer Nikolaus. Luther, the ex-monk wed Katharina, the ex-nun, on June 13, 1525. Katharina was 26 years old. Nearly twice the age of many brides in her day. Dorothy was born on May 10, 1747. (Hey, her birthday is two days after mine! Anyway, back to the post.) Dorothy was a well-known hostess and was considered beautiful and intelligent by those in her sphere of influence. She became engaged to John Hancock just as the chaos of the American Revolution began. She witnessed the battle of Lexington while staying with her future husband's aunt, Lydia Hancock. She married John in 1775 at the age of 28, a few years older than most women of her era. She was present in Philadelphia during some portions of the Second Continental Congress as they drafted the Declaration of Independence. After the death of Samuel Adam's first wife, he married Elizabeth (Betsy) Wells on December 6, 1764. Betsy was 29, Sam was 42. Elizabeth was the eldest daughter of Francis Wells, an English merchant and dear friend to Samuel. Francis had immigrated to Boston with Sam's family in 1723 when Sam was only a year old. This longstanding relationship probably aided in Sam and Betsy's happiness, and Sam grew to love her dearly. She was not a dazzling lady of social graces as Dorothy Hancock was, but Betsy possessed many good qualities such as thriftiness, diligence, patience and economy. No other woman could have served Sam as faithfully as did Betsy during those turbulent years of his life. Back to the time in history when girls were often married off before the age of 16. 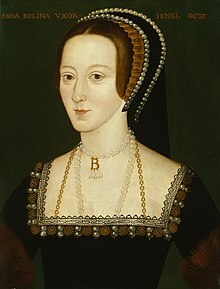 Anne Boleyn was originally intended to marry her Irish cousin, but that plan was thwarted by Cardinal Wolsey, and instead she was assigned to be the Maid of Honor to Henry VIII's wife, Catherine of Aragon. When Anne was 22, she became secretly betrothed to Henry Percy, but that was also broken by Cardinal Wolsey. Three years later, King Henry VIII set his sights on her. It took time to get his marriage with Catherine out of the way, but he finally wed Anne Boleyn in 1533. By that time, Anne was 32. She hadn't been married to Henry for three years before he was courting Jane Seymour. Anne had one daughter, Elizabeth I, and several miscarriages before her infamous beheading. Filipa was almost 25 years old when she wed Columbus. During her day, girls were married off as young as 12 years old, so she was certainly considered a spinster at that time. As the daughter of a Portuguese knight, she was far superior in rank to Columbus, who was the son of a common wool weaver. However with her being so far past marrying age, and her mother being a widow with little means, her mother consented to the marriage without a dowry, just happy to have a son-in-law to support them. Filipa bore one son, Diego, before she passed away in 1484. Though her life was short, she left a legacy. She was the daughter of a King's captain, the wife of a Viceroy, and the mother of a Viceroy. Amber's New release, Dawn of Liberty is available for pre-order! Order before June 2, and get 12 Sam Adams' Colonial Recipes for FREE! Click here for details. It's really too bad Anne Boleyn didn't marry Bachelor #1 or #2. I always felt sorry for her. I hope you have a happy birthday on Sunday, Amber! I know! Poor Anne. I've always felt for her as well.